Chinese New Year arrives on February 5, with a full menu of celebratory events—from lion dances to temple blessings to restaurant banquets—popping-up in Richmond throughout the festive period. But arguably the best way to tap into the Year of the Pig celebrations here is to check out a local flower market. A red-and-gold-hued New Year tradition for centuries, these special temporary bazaars are typically alive with vibrant plants as well as fresh and fragrant flowers—each with their own symbolic significance to those who buy them. There are also lots of tasty treats to discover, plus shiny toys and colourful decorations to buy. 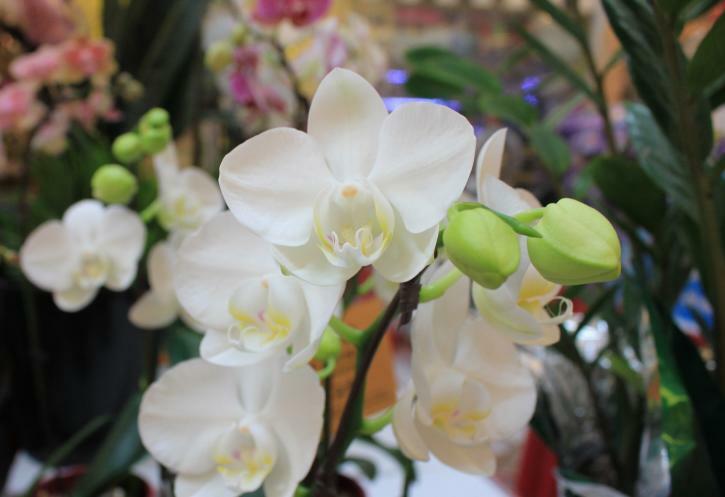 “Flower markets are very traditional in Hong Kong,” says Joey Kwan, Director of Promotion and Public Relations at Richmond’s Aberdeen Centre. 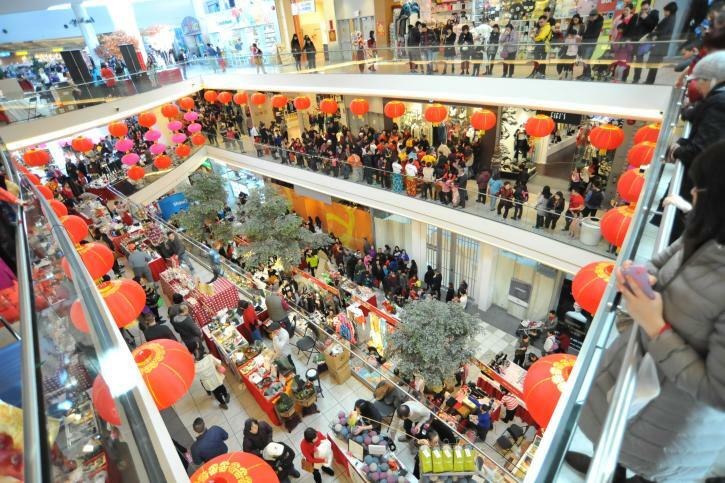 The mall’s popular Chinese New Year Flower & Gift Fair—now in its 30th year—is running from January 30 to February 5 this time around and, says Kwan, it typically lures thousands of locals and curious visitors. “Traditionally, the whole family comes to the market together to choose auspicious flowers and plants for good luck in the year ahead—usually after they’ve enjoyed a reunion dinner.” The symbolism behind these potted plants and fresh-cut flowers is the foundation of flower market heritage—and, says Kwan, it’s vital to choose carefully. “Golden mandarins mean good luck and riches; orchids mean blessings and good luck; nipplefruits mean family blessings and family safety from generation to generation; and lucky bamboo means family joy, good luck, and career promotions,” she says, adding that she looks forward to seeing the mall’s dazzling New Year decorations every year. And while the lantern-studded market isn’t just about festive flora—Kwan says there’ll also be “lots of lucky charms and decorations as well as festive apparel, creative novelties, and special New Year sweets to buy”—those who really want to welcome the Year of the Pig with a bang should consider visiting on the evening of February 4. That’s when the market becomes one of the shimmering centerpieces of Aberdeen Centre’s countdown party, complete with onstage dances, live music, and fun games from 8:30pm. And starting at 10:30pm, there will also be a live TV broadcast that includes an auspicious visit from the Chinese God of Fortune. The crowds will be in full-on party mode all evening and the market itself will be open past midnight for celebratory shoppers. Don’t worry if you can’t stay up late for the celebrations, though. You can also embrace the Year of the Pig at Aberdeen on February 5, when there will be energetic and highly colourful golden dragon and lion dance displays in the Outdoor Courtyard starting at 11:00am—complete with firecrackers and traditional lion dancer visits to many of the stores inside the mall. But for Kwan, it wouldn’t be Chinese New Year without checking out a flower market. She’ll be dropping by Aberdeen’s market, like she does every year, to peruse the festive stalls and pick up a few special treats. “I always look forward to looking at the traditional Chinese art—but I’ll also be buying some Dragon’s Beard Candy as well,” she says.